Painless tips to take minutes off your time. camera (Getty Images) Here are some tips to run faster. intro: Races like 5Ks are all the rage, and more people than ever are running regularly to burn calories and get fit. After a few races, however, it’s easy to get caught in a running slump. People often train for longer distances to beat boredom, but speed training is a great way to improve your running game and your health. Sure, increasing your pace can seem daunting, but not to worry! These 6 (relatively) painless tips will help you to take seconds, maybe even minutes, off your 5K time! quicklist: 1 category: How to Run Faster title: Take more steps url: text: Long legs are great and all, but a long stride is NOT your best friend. Runners with high “stride frequency,” or a high amount of steps taken per minute, are generally faster, more efficient runners. Quick, short steps are the key to a faster pace. Try counting the number of steps you take with your right foot in a single minute, then multiply by two. Repeat this exercise several times, attempting to add one or two steps to your stride frequency each minute (the magic number is 180 steps, but it’s hard to hit). Increasing your number of steps will help you to run faster without focusing specifically on pace. quicklist: 2 category: How to Run Faster title: Run on the treadmill url: text: I generally find the treadmill to be a bit boring, but if you’re trying to increase your pace, the treadmill is your best friend. It’s simple: the treadmill forces you to keep up, whereas it’s a little easier to slack off when you’re setting your own speed. Start out running at your normal pace for 5 minutes and then slowly increase your pace so that you are working outside of your comfort zone. Set a specific time goal, like 15 minutes at the faster pace, and get going. It will feel challenging, but you’ll be surprised at how quickly your legs will adjust to the new speed. quicklist: 3 category: How to Run Faster title: Use your friends url: text: If you don’t have a treadmill available, take advantage of your faster friends or link up with a running group. Let them set the pace so that all you have to focus on is keeping up. A friendly conversation or simply the presence of another person can help distract you from the discomfort and fatigue of running at a faster pace. Having another person around will also help hold you accountable to your training. You’ll run that much faster for that much longer with a friend encouraging and supporting you along the way. quicklist: 4 category: How to Run Faster title: Pump those arms url: text: When running, your arms counter the motion of your legs. Use this to your advantage: Instead of focusing on sprinting more quickly, focus on pumping your arms faster. In addition to pumping more quickly, make sure you’re using your arms efficiently by driving your elbows directly behind you instead of out to the side. Your legs will follow suit, running in a straighter line. 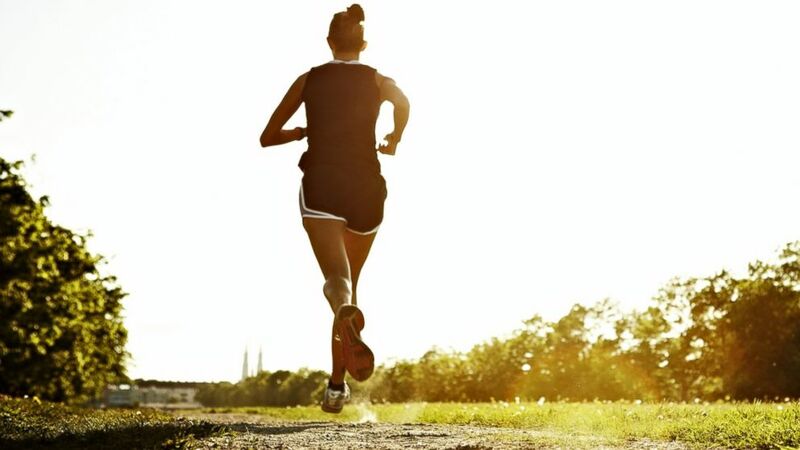 quicklist: 5 category: How to Run Faster title: Try Intervals url: text: Instead of running at a faster pace for your entire workout, try interval training. After a 5-minute warm up, try running at a slightly faster pace for 30 seconds. After the 30 seconds is up, run at your normal pace for 2 minutes. Repeat this pattern for the duration of your run, followed by a 5-minute cool down. On your next hard run, try to increase your faster pace interval to 45 seconds. Then on the run after that, try 1 minute. Continue to increase your faster pace increments until it is no longer your faster, challenging pace, but your normal, comfortable pace. quicklist: 6 category: How to Run Faster title: Differentiate your workouts url: text: When training to increase your speed, it is important to train hard and train easy. Designate days when you will really push yourself, while also allowing yourself days to go for a very easy run or to rest completely. It’s important to train to your highest potential, but it is also important to give your body time to rest and heal. Jennifer Cohen is a leading fitness authority, TV personality, best-selling author, and entrepreneur.